Study Highlights: The pattern of systolic blood pressure from middle age onward may tell more than a single blood pressure reading about a person’s risk of stroke and death from other diseases linked to high blood pressure. Understanding these trajectory patterns may be important for prevention strategies. Blood pressure can change markedly with age and should be checked regularly, researchers advise. The pattern of systolic blood pressure from middle age onward may tell more than a single blood pressure reading about a person’s risk of stroke and death from other diseases linked to high blood pressure. Understanding these trajectory patterns may be important for prevention strategies. Blood pressure can change markedly with age and should be checked regularly, researchers advise. Dallas : Knowing the path of a person’s blood pressure from middle age onward may help doctors better assess the health risks posed by high blood pressure and could lead to earlier interventions to prevent stroke and other diseases linked to high blood pressure, according to new research in the American Heart Association’s journal Hypertension. Dutch researchers tracked the systolic (top number) blood pressure of 6,745 participants, age 55-106, living in a suburb of Rotterdam, the Netherlands, for over two decades. Class 1 experienced gradually increasing blood pressure from normal systolic blood pressure (120 mm Hg) in middle age to high systolic blood pressure (160 mm Hg) at age 95. Class 1 was the most common trajectory. Class 2 began with normal blood pressures in middle age but experienced a steep increase to very high systolic blood pressure (200 mm Hg) over the same time period. Class 3 had moderate high systolic blood pressure (140 mm Hg) in middle age that did not change much over time. Class 4 had high systolic blood pressure (160 mm Hg) in middle age, but their blood pressure decreased after age 65. Class 4 were more frequently men and more often used medication. Those whose blood pressure climbed steeply with time (Class 2) and those with high blood pressure that decreased after age 65 (Class 4) had the highest risk of stroke and dying from non-stroke diseases up to the age of 80. People with moderately high blood pressure at mid-life and throughout (Class 3), had the highest risk of stroke overall but their risk of dying from non-stroke events, along with those in Class 1, was the lowest. During the study period, 1,053 participants suffered a stroke. Researchers also studied the number of deaths that occurred from non-stroke health events. 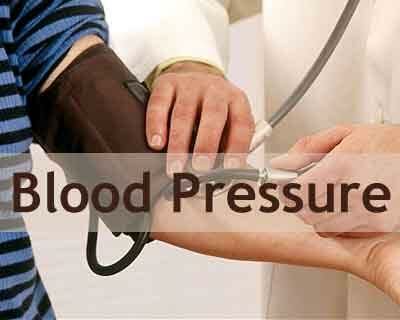 High blood pressure increases the chances of dying from heart attack, heart failure, kidney disease and other diseases. Authors said that these finding raise questions about caring for patients with high blood pressure and borderline high blood pressure. Co-authors are Marileen L. P. Portegies, M.D., MSc. ; Saira Saeed Mirza, M.D., MSc. ; Vincentius J. A. Verlinden, Ph.D.; Albert Hofman, M.D. ; Ph.D.; Peter J. Koudstaal, M.D., Ph.D.; and Sonja A. Swanson, Sc.D. Support for the study came from the Erasmus MC University Medical Center and Erasmus University Rotterdam; the Netherlands Organisation for Scientific Research (NWO); the Netherlands Organisation for Health Research and Development; the Research Institute for Diseases in the Elderly; the Netherlands Genomics Initiative; the Ministry of Education, Culture and Science; the Ministry of Health, Welfare and Sports; the European Commission; the Municipality of Rotterdam, the Netherlands Consortium for Healthy Ageing; the Netherlands Heart Foundation; and Erasmus MC Fellowship 2013.